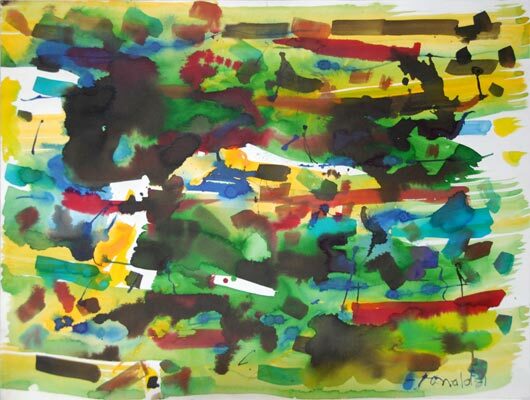 Description: watercolour 30"x22" signed William Ronald '81. Ronald founded Toronto's "Painters Eleven". It was recognized as Canada's finest group of abstract artists in the '50's.